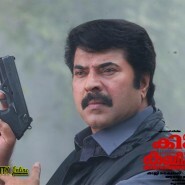 The King & The Commissioner | Mammootty Online.com - All About Malayalam Megastar Mammootty ! The King & the Commissioner is an upcoming Malayalam political thriller film written by Renji Panicker and directed by Shaji Kailas, starring Mammootty and Suresh Gopi in lead roles. The film was earlier reported to be a successor to 1995 film The King and 1994 film Commissioner and its sequel Bharathchandran I.P.S. of 2005, however director Shaji Kailas reportedly said that the film features a new story in a new background where the lead characters of his and Renji Panicker’s films (Joseph Alex IAS & Bharath Chandran IPS) are coming together. Mammootty and Suresh Gopi are reprising their roles Joseph Alex IAS and Bharath Chandran IPS respectively. The story is set in New Delhi, where Joseph Alex IAS and Bharat Chandran IPS are working. The two come together to investigate a crime and the film is centred around that. Check Out Exclusive Trailer !